Sorry I am late! 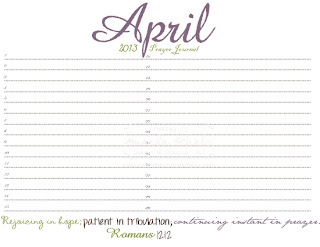 April's prayer journal page is available for download now! Dylan's surgery went amazing... and he is healthy (small bout of pneumonia) and will only be in a cast for four weeks according to his surgeon. I will do a more in depth update for tomorrow to share. I just wanted to get the prayer journal page out! Ahh... focus. How you elude me. Not really. We are on the end of the first leg of a destination, so to speak. Picture a clock. We have our minute hand at about the 28 minute mark. At the 30 minute mark, Dylan's surgery starts, and then we start the slow journey back up to the 60 minute mark. Clear as mud, right? Cold and flu season has been alot of work. We had to keep Dylan healthy enough to be viable for hip/leg surgery. We did it! YAY! But, that is only half the journey, you see. Once we get him to the surgery, we've only fought half the battle. The eight weeks after that will mean body casts, and all that goes with it. My peace is in the fact that we know this is what is best for Dylan. He is in so much pain when we try to stand him up in his standing frame. He has one dislocated hip, and another trying to get that way. They have to reconstruct part of the dislocated hip. And they have to go in and clip tendons, muscles, and aductors. But it will be worth it. I know hard times will come. 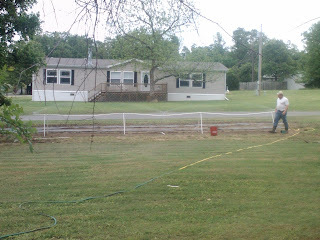 I know my house will look horrible most likely. I know I won't get much homeschool paperwork done (and the joy of it is, I don't have to until I have time to because we don't report to anyone), but I am so grateful they can watch their lessons and do their work anyway, and if they need me, I am here. We are facing it together. And then there is rehab... but I am so spun I can't think about that right now! So for now... I will focus on the tasks in front of me. And pray for what is coming in the next few weeks, and feel peace knowing it is all in God's hands. T-Minus 14 Days... And Counting..
Time has gone by so quickly, I find myself having minor chest pains when I think about how unprepared *I THINK* I am. Then I remember that I claimed peace long ago. Ahhh... there it is... relief. Don't get me wrong. I have some anxiety. I mean, when the doctors tell you they are going to do a complete lower limb over haul on your little boy, and then send him home 2-3 days later, that can cause some fear to creep in. But I know it could be, and has been, so much worse. The doctor we are using is the *rock star* of pediatric orthopedic surgery in Oklahoma. Hands down. It is good to remind yourself of these things when you think about someone re-arranging your child's legs. And hips. We will get to pray with his team before surgery in the holding area. Big relief. Not that I will be able to utter much of anything, but my husband (God bless his sweet, strong soul) will be there with me. He will be praying. I will be the one bawling my eyes out. The Lord's timing is so good, and perfect. I love that he preached on distracted disciples out of John Chapter 6. The miracles are great there, but the disciples and people who had followed Jesus (the 5,000 He fed with the "biscuits and pickled sardines" as our pastor put it.. haha) got distracted by the circumstances of the situation instead of taking heed to what God was going to do, and the miracles Jesus was going to work there. I can't get distracted in the details. I have to stay focused on being the best testimony of one of His children, and I have to keep myself assured in the fact that He is going to use this for our good, and for His glory. We are so blessed. I see the blessings every day when I go to church, and when I look around my home and see my children "set apart" from this world so that they can be better prepared down the road. I see it in God's timing, and in his love and infinite mercy. I see it in missionaries who accept God's call, and reap the reward of being obedient to God. I see it in all the families that I know that serve God every day. I see it with every breath we breath, and every beat of our hearts. Please pray for my little boy, and for the team of doctors that will be repairing his little body, and for our family (including our church family) as we prepare to embark on this journey with Dylan. To God, Be The Glory, Great things HE HATH DONE! It's that time! I can't believe it's almost March! 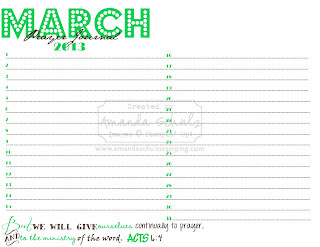 Here is March's prayer journal page, and I hope you are finding them helping your prayer life. 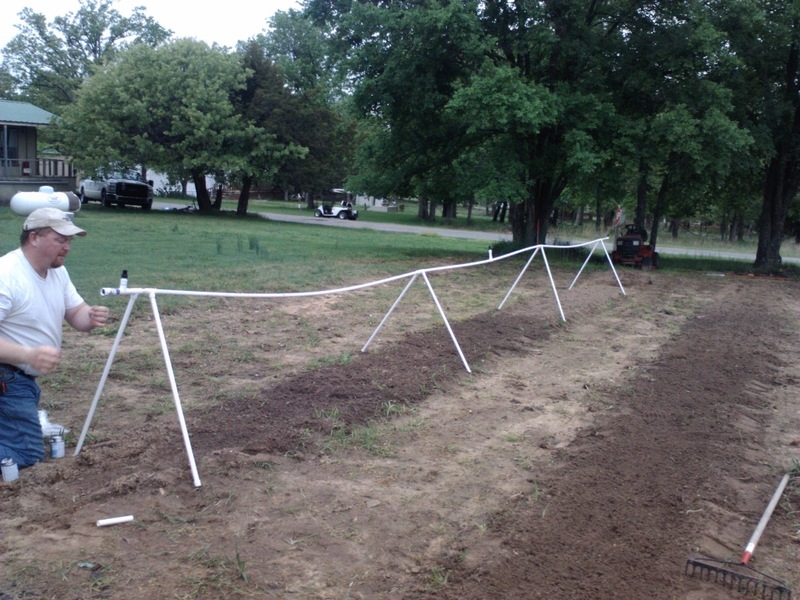 March will be filled with warmer weather, outside fun time, and working on our Garden! I can't wait to share it with all of you! So, yes, this is a picture of me actually letting my daughter play washing dishes in the kitchen. Eventually (after an hour) this turned into her "baking" a cake. I know, I am insane, and I created another mess to clean up in my kitchen, but my hope by allowing her the freedom to do this, will create in her a heart for home making that I never had growing up. She is still at the age where she loves helping me do laundry, and wash dishes and cook supper. I want her to want to do it for her husband one day. I didn't grow up with a love or passion for home making. I looked at it as a means to an end (allowance), or getting something done so I can do what I want. I never understood what the Lord had to say about home making. As I grow spiritually, I see the importance of letting her play... because one day it won't be play. One day it will be for her family. One day it could be for making a living. What ever the reason... I want it to be because there is joy in her heart to do it for the glory of God. I want her to be industrious (Proverbs 31:13), prepared (Proverbs 31:21), ready to serve God by serving others (Proverbs 31:20), hardy (Proverbs 31:17), cherished by her husband (Proverbs 31:11), and serving and fearing a wonderful God (Proverbs 31:30). Nowhere in the Proverbs 31 passage does it describe a weak woman. She works hard, she provides for the needs of not only her own family, but the needy. She seeks ways to make life better for her family. She takes the time to prepare (remember, Christians, we watch the ant, not the grasshopper!) her family for the coming seasons. She is loved and cherished by her children and husband. But she fears the Lord and trusts in Him. 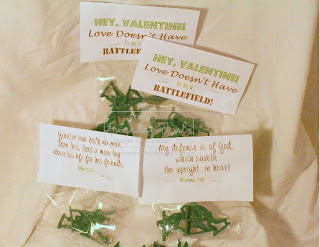 Love Doesn't Have To Be A Battlefield- Valentine Idea with Printable! Focus. Yes, that is what I am doing! 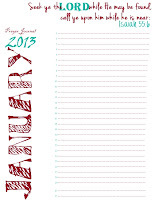 Over on my Stampin' Up Blog, I am focusing on posting more. So, I started doing a Valentine Series. I found some great ideas on Pinterest, and changed them to what I wanted. Today's was great, because I changed it and used some scripture. I know that most business advisers tell you to stay away from religion, but I have to be true to me. And, I am offering a free PDF file for both Scriptures. You print the PDF files, and do a little trimming, and staple to the top of a treat baggy with army men in it. What a great way to give the gospel, and a valentine! For the Psalms 7:10 Scripture topper Click Here. 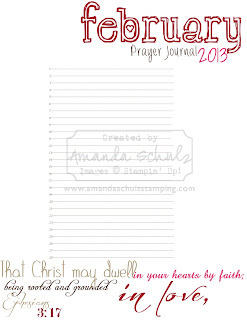 Here is the February Prayer Journal Page. It's so hard for me to believe it's that time of year! Click on the image below to take you to the download. My children use this during their Bible study time to learn about praying for others. I felt extremely burdened for my children's prayer life as a part of my drive to Focus more this year. If you click on the image above, it will take you to the download page. You can also click HERE if clicking on the image doesn't work. Check back often, as I will be adding another image in March! Ugh. How often do I walk past my desk to go do dishes, or help with fractions homework, or sit and watch TV, and I don't receive my daily bread from the Lord? 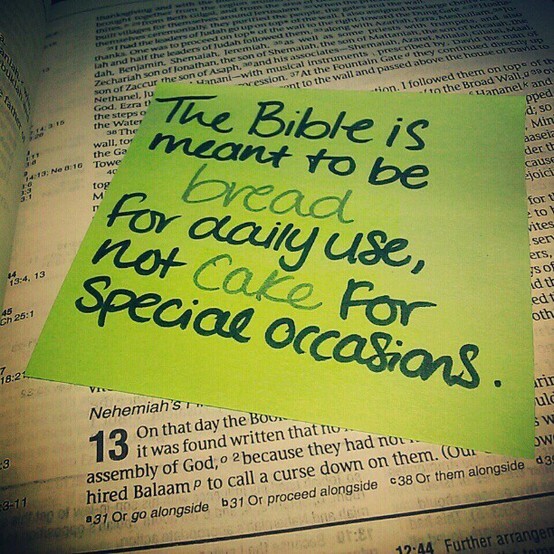 How often does He beg me to spend time wrapped in His word but "I" have too much to do, and wind up with just cake? Now cake is great... don't get me wrong. But bread is filling. It is full of nutrients, and vitamins. It's satisfying. Cake, is well, sugar. You feel great for awhile, but after a short bit, you come down from the sugar high, and still in need of being satisfied. It's a lot like life, isn't it? 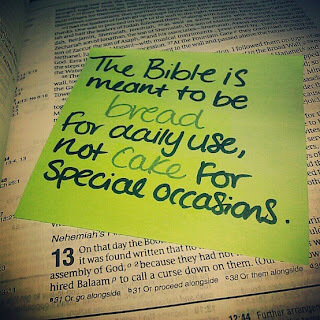 The Lord has the filling, satisfying manna for us, but we brush it off for cake, and then are still left wanting more. How often at the end of the day am I left with a hunger that could have been satisfied with God's Word? With His love, and promises? I want my Bible to be worn, and loved. Something my children all fight over because they know it is full of not only God's words, but little bits of bread that the Lord gave me while reading it. One of the reasons I initially started this blog was to chronicle our family. 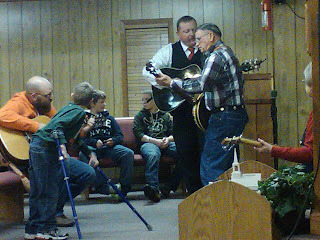 In that, I wanted to show God's glory through the boys, and the things we are doing for them! Last August, I got a phone call from Jim, our wheelchair clinic guy, who asked me to go look at a product that a therapist from Arizona had called him about. It was the Headpod. He told me to watch the video, and see what I thought. Needless to say, this mama cried through the video. And then I went to see how much it was. After confusion about conversions from Euros to Dollars (I cried, at one point in my conversion it was $2000) I figured out there was a converter on the sight, and, cried again, when I saw it was $250. We bought one, and had it shipped from Spain. I cannot tell you how much it excited me to have this little jewel, and be one of the first 100 people in America to have one. Here is my son, Dylan, using the headpod with head switches. The head switches activate activities on the computer. We feel so blessed to have this in our home. Our speech therapist loves that she can use it with the Intelleswitch, the Occupational therapist uses it with his Ipad, and we use it to feed him etc. I really wish we would have had it earlier, but we are already seeing a marked difference in his voluntarily holding up his head. We attribute this to the fact that we are pretty sure he does not like it. It's still motivation, right? Okay, so this little funny is circulating on...Facebook. Ignore the irony here for a moment. LOL. But, this image popping up in my news feed, coupled with my pastor preaching against Facebook, has to give you reason to pause and legitimately ask yourself that Question. So, at first glance, I would say no. But when I observe my behaviors, I would have to say honestly, Yes. Of course I can justify the need for Facebook- South Texas family can get a glimpse into our daily life, I get insight from fellow Christians and quotes and perspectives that make me think and ponder what God wants from/for me, sharing my thoughts from Bible studies, and the like. But when I get a notification that something has happened on Facebook, 4 devices ding at me. WOW! When I am sitting here at my computer writing a blog, I click back over the the facebook tab, and THEN I pick my phone up and check my facebook. Really?!? At first glance, I can justify my sin (addiction to Facebook) by giving a Biblical (ministry tool) reason. 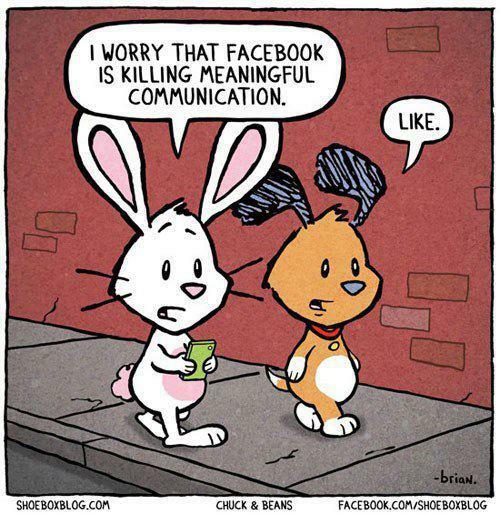 But is that really what I am using it for... and do I really need Facebook to be a light to the world? Facebook takes time away from my family, Facebook takes time away from God (when I neglect my devotions or Bible reading to spend time on Facebook), and Facebook exposes us to verbage and behavior we wouldn't normally allow into our minds and homes. Things come up in our news feeds that disgust us, but we look/read them anyway. See where I am going with this? My pastor said one thing on Sunday that I will just throw out there, and explain how I feel about it. Facebook gives you "courage" to say things you wouldn't normally say to someone's face. Recently, I had used Facebook to tell someone what I thought about their recent behavior, and bad attitude towards another (who in this case was actually my husband) and informed them I was deleting them from my Facebook to avoid looking at the continued nonsense. Now, given the opportunity, I would have said all of those things (and more, truth be told) to that person's face. Okay, I have not arrived. I have a flesh to fight. I can't say that what I did/would say was right or wrong, but Facebook actually gave me a chance to sensor my words, and be a little more tactful about how I used my words. But I see his point. In most cases, people let their fingers do the walking and talking, instead to taking the time to censor themselves. They wouldn't think about things like, for instance, their testimony. I am grateful I had the opportunity to hit the backspace key (a lot), but still express my feelings on the matter. And, this conversation wouldn't be complete without the portion on games on Facebook. Not only are some of them just down right evil (not the farm games people!) in nature, but think about the time it takes away from your children. I used to play the farm games. They, in themselves, are not inherently evil, but the hold you allow them to have on you (gotta harvest grapes in 4 minutes, who cares about the dishes or my devotion, or that my husband has been waiting for me to spend time with him or go to bed! ), and what they hinder you from doing. I don't play computer games anymore. I don't want something like that to have any hold on me, or keep me from what my ultimate love should be- God. And I glorify God by honoring, cherishing, nourishing, and ministering to my family. So, I have so much stuff around my house... it's hard to focus! I think we have been on the road so much (4 different therapies, piano, church, etc) that the clutter collects, and just gets shoved from one room or place to another. Frustration sets in, and then I feel my walls closing in on me. One thing I have started focusing on is a Home Organization Binder. 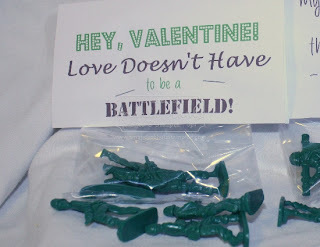 If you are on Pinterest, I am sure you have seen a bazillion free printables pinned by your friends. Well, I have jumped on the band wagon. 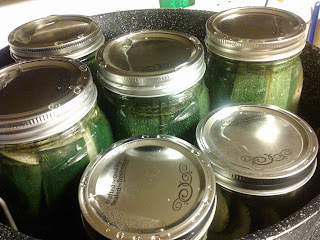 I am trying to maintain two blogs, and a family of four homeschooling children. Organization, smorganization, right? 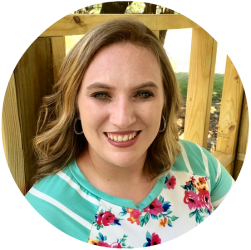 I slowly started last fall gravitating towards pantry rotation sheets, menu planning sheets, and Daily to do lists, and that is when I found Erin at HappyOrganizedLife. She was great to work with on customized sheets to meet my finicky needs, and made them all customizable in Adobe Acrobat, so that if I didn't want to hand write, I could type it and read better! Plus, they are pretty! She even made me this awesome coupon shopping list with price match columns. Seriously, that small amount I paid for the sheet has been saved over and over again, just by helping me get organized when I grocery shop! Right now on her blog, she is doing a series on Home Organization Binders, and giving away free downloads of prints that she usually sells on her Etsy store. If you don't see something specific you need, ask her. She will either find it or make it! Have a great FOCUSED day! I don't feel like I have taught my kids how to nurture a good prayer life. Sure they pray well at meal time, but honestly, and really, opening themselves up to pray for others consistently and whole-hearted. Acceptance (confession) is good for the soul, right? So, in an effort for me to focus more on my faith, and family, it seems my pastor has pointed me down the path of prayer (he handed me 2 books about prayer last night after church). I realize I am lacking in my prayer life, and in that, I am lacking in teaching my kids the power of prayer, the right way. So, I created these printables for my home life, for my family to use to learn about prayer, and to give them something to look back on through the year to see answered prayer as well. You can click on the picture, and it will take you to a place to print and download the PDF file! I am offering these for free, for anyone else who sees the need to give their child (or themselves) a starting point in their prayer life. Let me know what you think, and feel free to share! 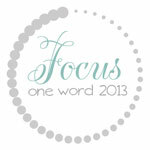 Yesterday, I blogged a little bit about what my one word was going to be for 2013, and a little about why. After the Watch Night service last night, I almost changed it. There was so much preaching surrounding the word "Rejoice." I had a hard time! I still just really feel like focusing on Faith && Family is going to help with the rejoicing. 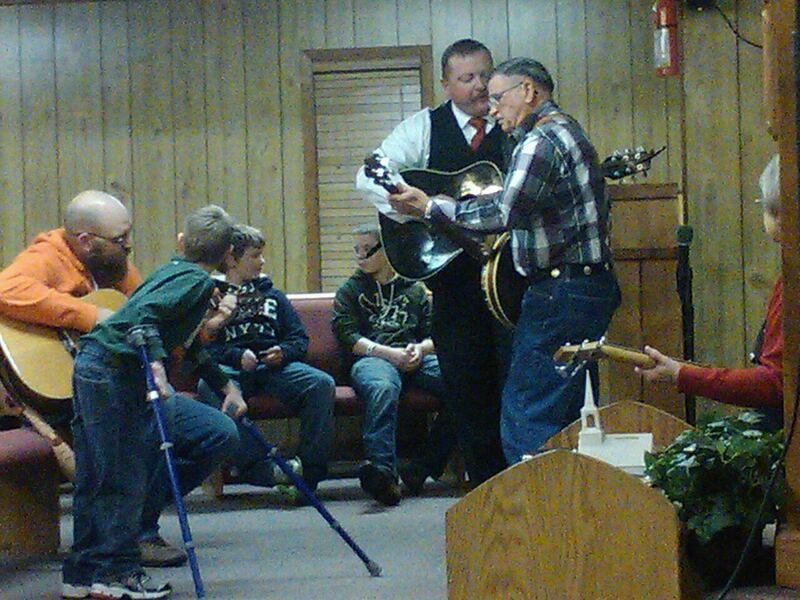 My son Wyatt is there on the left with his arm crutches, and this is my husband (suit in the back) and some others playing music during our eating break between preaching sessions last night. God gave us so much to praise him for last night... and issued some clear challenges for the year ahead and listening to His preached word, but the only way I can be a better ministry tool for Him is to focus on my ministry at home. For those that don't know me personally, I will just tell you that with the amount of nurses, therapists, and teachers that filter through my home, I don't have to leave home to be a witness for Christ! In that same breath, I have a second layer of accountability as well. We have had people get saved here, and people get right with the Lord here, just because of the environment that is, and how encouraging in the Lord we try to keep our home. It's not always easy, I promise! 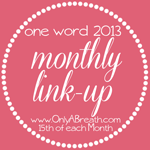 I am so excited for the One Word link up, and the accountability. I am more excited that through linking up with others, I might be able to be an encouragement to someone who is struggling with children with disabilities.